Our commissary kitchen is located in the Senior Center. Our dedicated staff prepares and delivers a nutritionally balanced lunch to senior centers and senior housings in northern Rhode Island. 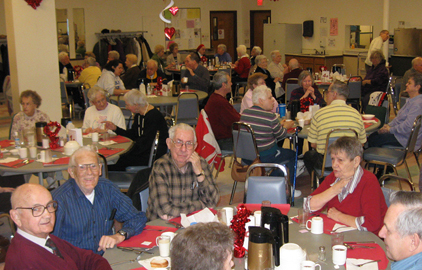 Lunch is also served daily in our senior center dining room. Meals are available to anyone aged 60 or over and to adults with disabilities. We encourage you to come to the center and experience our senior enrichment environment, which includes our cafe lounge with Wifi service.